How can we bring the great outdoors to young people in New York City? We invite you to gather around the campfire. Together we’ll gaze through our binoculars, look for shooting stars, and entertain porcupines with a good joke. 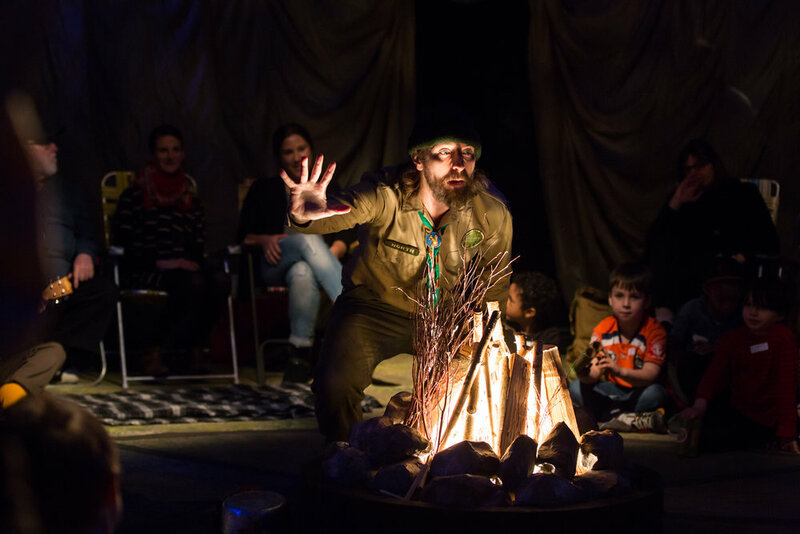 This intimate multi-sensory theater experience for audiences on the autism spectrum and their families will use innovative puppetry and immersive staging to conjure the sights, sounds, smells, and textures of a vibrant forest. 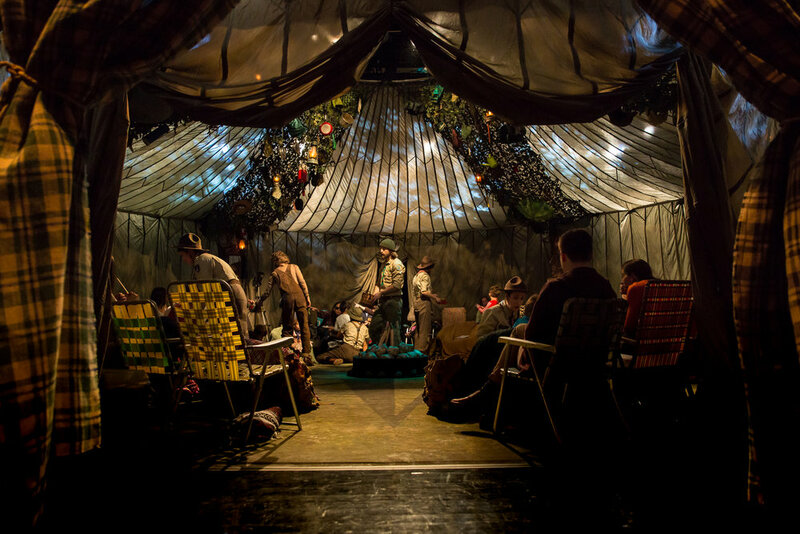 Campfire is a 360 degree theatrical experience utilizing puppetry and live music. 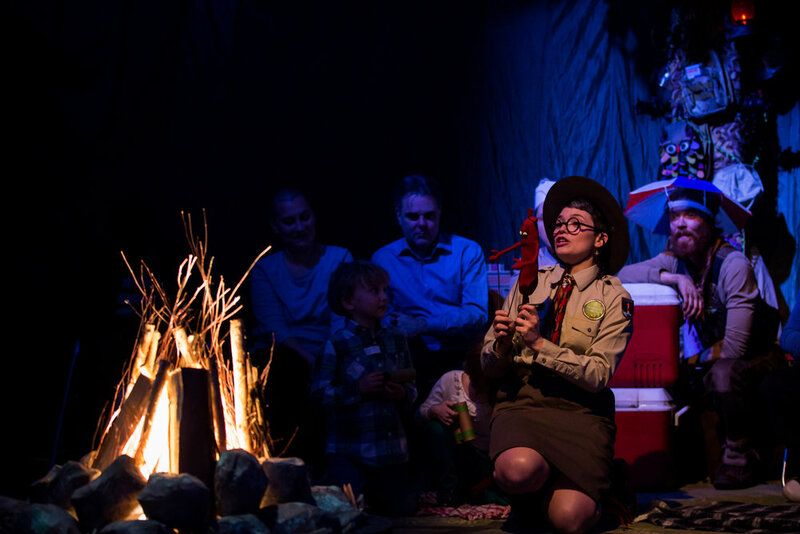 This production of CAMPFIRE was funded, in part, by The Jim Henson Foundation. This program is supported, in part, by public funds from the New York City Department of Cultural Affairs . This production was commissioned by Lincoln Center Education and created by Trusty Sidekick Theater Company.